Canterbury Timber Windows and Doors are happy to announce the launch of our new and improved Timber Casement Window. A series of updates have been implemented to improve the Casement Window even further with various new features and benefits added. Amongst these new features are exclusive fittings to Canterbury Timber Windows and Doors that simplify operation and maintenance. The range of closer types now includes key locking options for additional security and safety. Twin and tandem operating sash-locks have been introduced and a Sash Limiting Device has been developed to provide sash restriction. The Encore hardware range is backed by Truth with ongoing development. The winders have clip-on covers that can be replaced if damaged without removing the entire mechanism. Clip-on covers can also be changed to Lockable without the mechanism being removed. The exclusive new Sash Ramp provides the ability to lift and guide the sash back to position if any sagging occurs, preventing the sash from dragging on the windowsill. Our new Sash Limiting Device complies with NCC requirements and restricts the amount a sash can open. 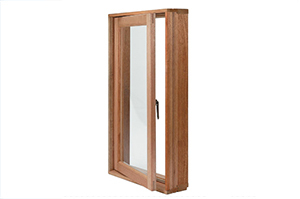 The SLD can even be retrofitted on site and used with Awning windows. Sashes over the height of 1004mm will have the option for 2 connected Sash Locks operated in tandem, while sashes over the height of 2344mm will require 2 connected Sash Locks operated in tandem as standard. A Sash Snubber is required for tall sashes to pull the hinge stile into position when closing and offers improved window security. An appropriate winder will be selected based on individual window style, dimensions and weight to ensure optimal operation. There is a choice of colour with all Encore Winders available in Silver, Black and White. For more information, visit a showroom or speak with a friendly staff member.